In order to include your government name and logo in how CityGrows will appear to your applicants, residents, and business users, we've created the ability to customize the name and logo for Teams. 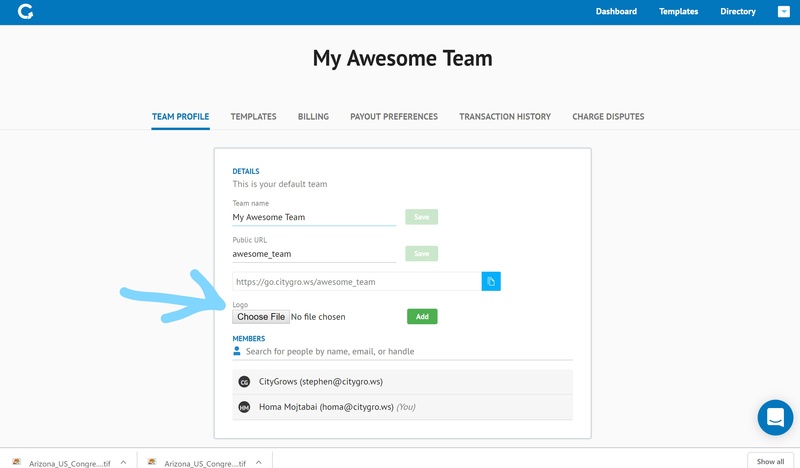 First, go to the Teams page from the small arrow at the top right of any CityGrows admin screen. 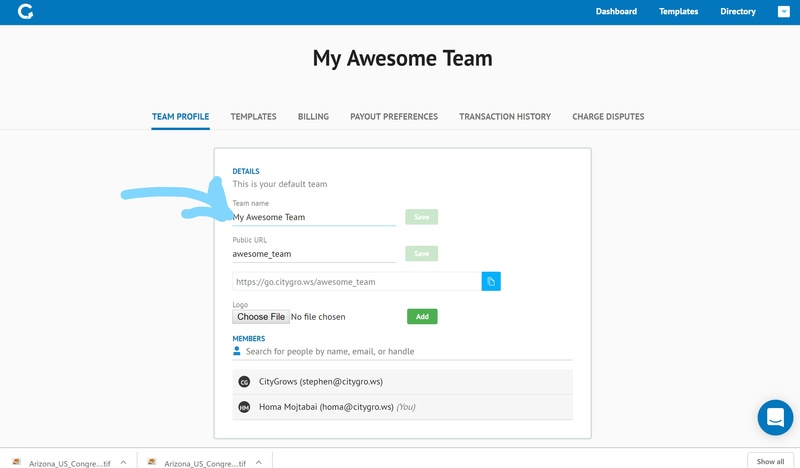 when you get there, you'll see your default team (and any other teams you've created or been added to). 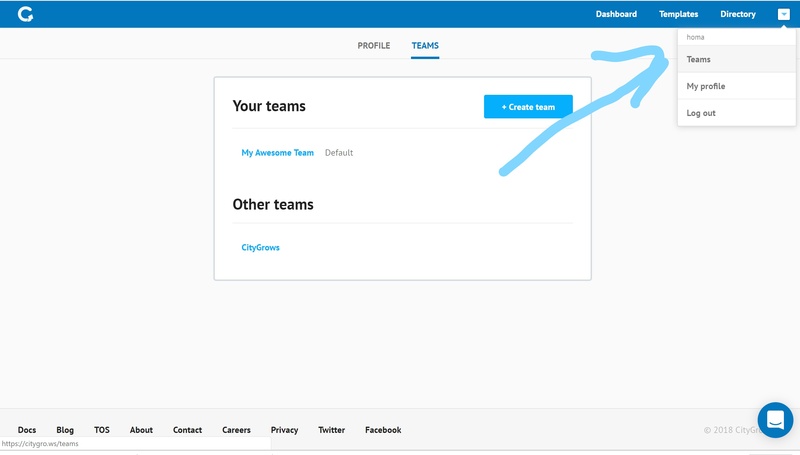 Be sure to explore all the other aspects of Teams - this is also where you set up your payout bank account to receive permit and license fees processed through CityGrows, and can manage financial information for one or more processes linked to a Team. 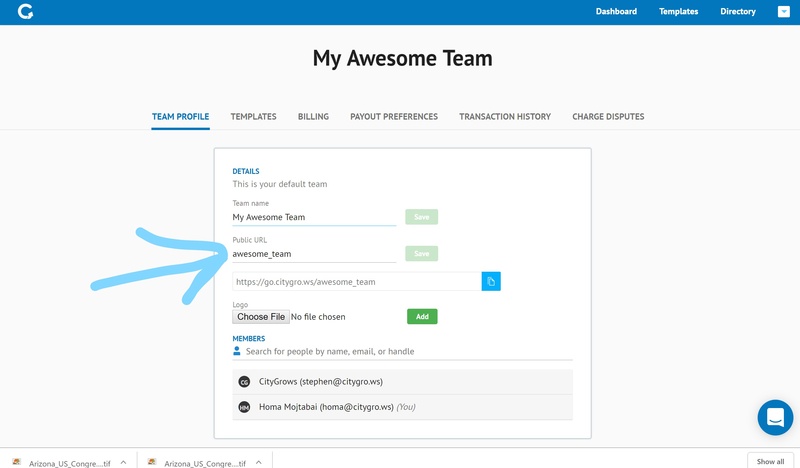 You can also customize the Team name (you may not want to keep the default name the system assigned). And don't forget to add an image - your government's logo or seal is a good choice here. The logo will appear at the top left of process landing pages. It's best to use a square image here if you can.